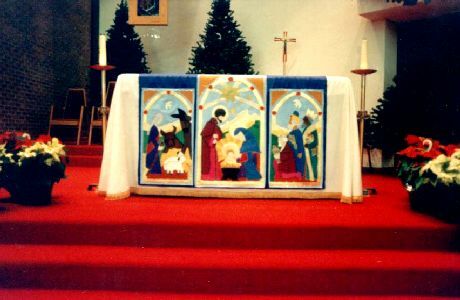 We offer custom-made liturgical vestments, banners, altar/lectern hangings for your parish or school chapel. Each article is crafted with care and attention to detail. We have some samples of our work on display. Contact Linda to set up an appointment for a free consultation. Please allow 6 to 8 weeks for delivery.